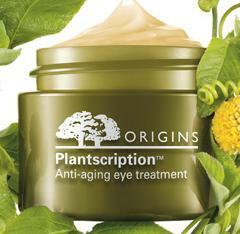 Click here to visit the Origins facebook and like them. Then on the “Plantscription Eye” tab, click “Order Your Sample.” Then just fill out the short form to request your sample. Allow 2-4 weeks for delivery. Thank you…Will let you know how it works.. I really think it’s cool to get these sample of things. that way, before you put out the $$$, you know if you like it ot not. Thanks! CANNT WAIT TO TRY THIS! so where do I get he sample? I could sure use this product! Can’t wait to see if this product really works. Can’t wait to receive my sample! Thanks! couldn’t find the plantscriptions tab on their fb page?